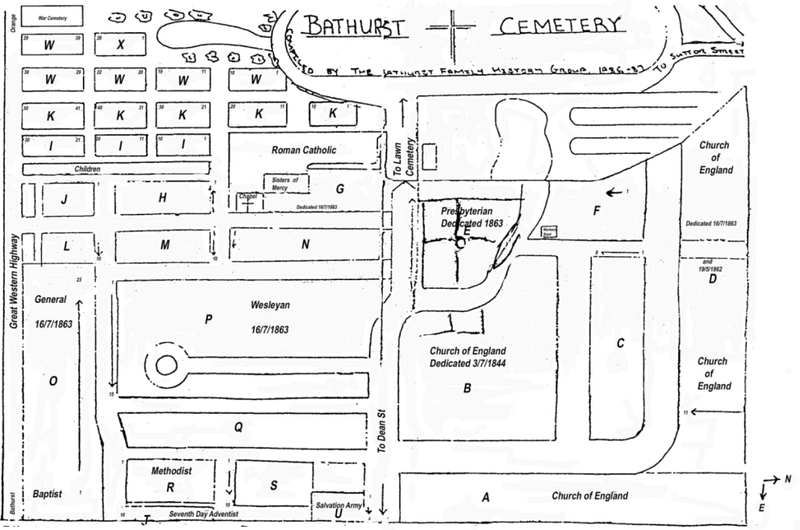 In 1989 the Bathurst Family History Group Inc. first transcribed all legible headstones at Bathurst Cemetery. This was published on microfiche at the time. More recently the Bathurst Family History Group Inc. the headstone inscriptions were recorded and published again on a CD entitled Bathurst & Kelso Burials & Cremations . That CD is no longer available. 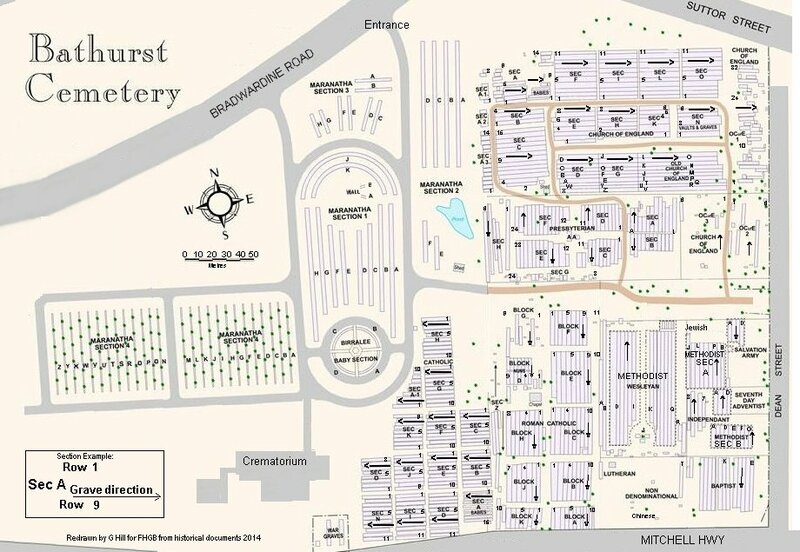 Most recently, in September 2014, the Group released an updated CD for Bathurst Cemetery with more comprehensive details and access to photographs of every grave at the cemetery. Details of the new CD can be found here. Financial Members of the Bathurst Family History Group Inc. can search this index and view full transcriptions from the 2014 project in the Members section on our website. The index provided here provides only basic details as recorded in 1989. Researchers are encouraged to obtain a copy of our latest CD.